Celebrating its 50th anniversary this year, Joseph and the Amazing Technicolour Dreamcoat is being staged at the Astra Theatre next week. Jennifer Grech speaks to artistic director Chris Gatt. Originally released as a concept album in 1969, the first musical with lyrics by Tim Rice and music by Andrew Lloyd Webber, Joseph and the Amazing Technicolour Dreamcoat, this year celebrates its 50th anniversary. To celebrate this anniversary, the Astra Theatre is staging the songs and stories of one the world's most beloved musicals, a reimagining of the biblical story of Joseph and the coat of many colours. Among the many musicals composed by Lloyd Webber, especially the ones he wrote with Rice, Joseph and the Amazing Technicolour Dreamcoat may be biblical, but it is also the most lighthearted and family friendly. As Rice's lyrics state, this through-song musical takes place "way, way back many centuries ago, not long after the Bible began," and comes from the Book of Genesis. It is the well-known story of young Joseph, 11th ÃÂ¢ and favourite ÃÂ¢ son of Jacob. Entirely sung, this musical parable delights with an engaging quilt of musical styles including country, rock, show tunes and pop. It's a timeless tale filled with surprising humour and dazzling delights. The show features songs that have gone on to become pop and musical theatre standards, including Any Dream Will Do, Close Every Door To Me, Jacob and Sons, There's One More Angel In Heaven and Go, Go, Go, Joseph. 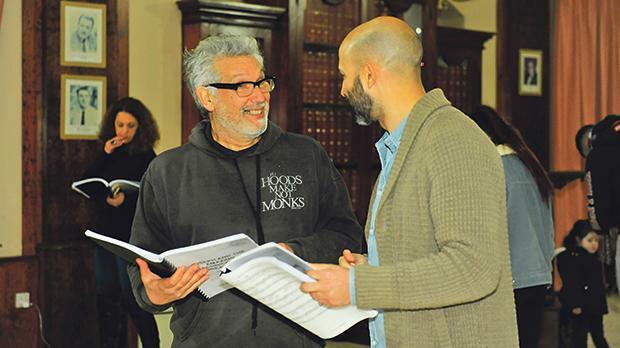 "From start to finish, this high-energy song-and-dance show will keep you wanting more, and I think we've assembled a great cast to deliver to the Astra audience," artistic director Chris Gatt told the Times of Malta. "I'm thrilled to be working with Astra on this production," he added. "I've heard such incredible things from friends and colleagues who have worked at this theatre and they've all had the same wonderful things to say regarding the passionate work environment, friendly staff and supportive audiences and community. I've approached this musical in the same way I've approached others in the past such as Little Shop of Horrors and Grease," Gatt explained. Featuring the music of Lloyd Webber and the lyrics of Rice, Joseph and the Amazing Technicolour Dreamcoat first started as a concept album in 1969, becoming the first of the duo's collaborations to hit the public stage a year later. With multiple preceding iterations, the musical landed on the West End in 1973, then eventually Broadway in 1982, where it received six Tony nominations. This multi award-winning show has been performed hundreds of thousands of times, including multiple runs in the West End and on Broadway, international tours and productions in over 80 countries. "The secret to this show's continuing success lies not just in the great storyline, which leaps out of the Bible pages, a classic tale of poor boy makes good, or in the wit and endless charm of Rice's lyrics and the pastiche parodies of musical styles of Lloyd Webber, but also in the sheer energy, vibrancy and sense of community the show brings to the theatre," Gatt said. With two large choruses, 24 adults and 36 children, some great showstoppers, exotic costumes and a tongue firmly placed in cheek, "this is not just a show for the whole family, but about a family," he went on to say. "Everything about this show aspires to good things. It's optimistic to a fault, but in this day and age don't we all need a bit of optimism?" Gatt said this was one of those shows that spoke for itself. "Like a good wine, or a well-made dish it needs nothing added to it; add other ingredients and you can well end up losing the balance of the piece." A line-up featuring some of the best local talent is fronting this production. London-trained performer Thomas Camilleri will play the main role of Joseph and Chantelle Micallef Grimaud is the Narrator. "It's also a spectacular show which calls for great costumes, some fun dancing and brilliant singing. It's also one of the most hectic shows to perform. It's a fast-paced rollercoaster ride of a musical. Our trick is to make all this heavy work look light and easy so that the audience can enjoy it," Gatt said. "I'm not just referring to the cast but also to the backstage team of set designers and makers, costume designers and makers and prop designers and makers who are even right now busily building sphinxes, chariots of gold pulled by lions, talking camels and, of course, that amazing coat." On a musical level this show offers its own challenges. Unlike other musicals it does not do things in one style. Musicians need to be very versatile, moving from grand opera to 1920s swing, to country and western. This is a challenge for musicians and singers alike, as each needs a different feel and groove. "The story also has a dramatic arc to it, intertwined with some silly comedy, so the mood swings need to be carefully controlled as the music shifts from one emotion to another." All in all, what at first glance may seem like a walk in the park is really a lot of carefully thought-through moments of musical pastiche which somehow need to work as a whole rather than a series of moments. "The ultimate aim is to create a great night out filled with spectacle, great music and various emotions, something which, now in its fourth year, the Astra Theatre is fast getting a reputation for." The brightness of Joseph and the Amazing Technicolour Dreamcoat is welcome in a time where the world can look so bleak. The image of Joseph's multi-hued coat in this musical not only supports Rice's idea that the Church should be made up of multi-hued people, but also to criticise racism and sexism. Through this musical, Joseph's story in Genesis has been heard by a huge amount of people. Many non-believers, especially people in Asian countries, never learn any Biblical stories until they watch or listen to this musical. Many Christian communities use this musical not merely for evangelical purposes but also for educational ones. Joseph's story is the story of the whole Bible. It's the story of glory through suffering and of exaltation through humiliation. It's the story of the cross and the crown.